Cărtărescu’s themes are immense. They reveal to us a secret Bucharest, folded into underground passages far from the imperious summons of history, which never stops calling to us. Mircea Cărtărescu, born in 1956, is one of Romania’s leading novelists and poets. 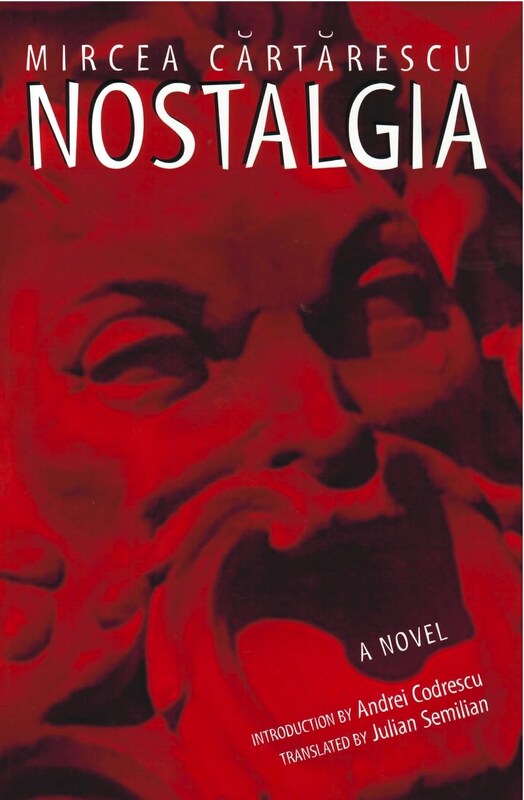 This translation of his 1989 novel Nostalgia, writes Andrei Codrescu, “introduces to English a writer who has always had a place reserved for him in a constellation that includes the Brothers Grimm, Franz Kafka, Jorge Luis Borges, Bruno Schulz, Julio Cortázar, Gabriel García Márquez, Milan Kundera, and Milorad Pavic, to mention just a few.” Like most of his literary contemporaries of the avant-garde Eighties Generation, his major work has been translated into several European languages, with the notable exception, until now, of English. Readers opening the pages of Nostalgia should brace themselves for a verbal tidal wave of the imagination that will wash away previous ideas of what a novel is or ought to be. Although each of its five chapters is separate and stands alone, a thematic, even mesmeric harmony finds itself in children’s games, the music of the spheres, humankind’s primordial myth-making, the origins of the universe, and in the dilapidated tenement blocks of an apocalyptic Bucharest during the years of communist dictatorship. Mircea Cărtărescu is the mystic of housing projects. A wonderful labyrinth of language and color. Cărtărescu, one of Romania’s foremost poets and novelists, gives us a novel filled with surprises and the unexpected. Read this book, then read it again.